The social media giant has removed a network of pages, whose followers total millions, tied to the Knights Templar International, KTI, BIRN reported on Thursday. KTI – which calls itself “a living shield and sword for the defence of Christian communities and the upholding of Christian principles” – has boasted about how its vast network of social media pages helped to elect Donald Trump as US President and swing the UK referendum on leaving the European Union. 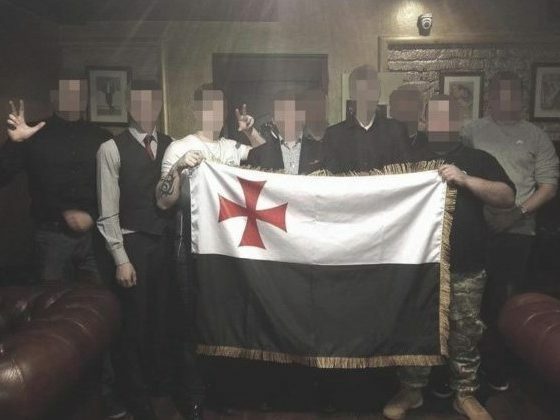 The organisation has attracted controversy for its hard-line views on Muslim immigration to Europe and donation of equipment to so-called “migrant hunters” in Bulgaria and to Kosovo Serbs preparing for confrontation with Kosovo’s mainly Muslim Albanian majority. In May this year, BIRN and the BBC published the fruits of their collaboration into the British nationalists operating in the Balkans. BIRN’s investigation highlighted the links between British anti-immigration hardliner Jim Dowson and a web of patriotic sites, including the KTI, which are becoming increasingly active in Serbia. The BBC produced television and radio documentaries focusing on Dowson, “the invisible man of Britain’s far right”, and his activities in Hungary, Bulgaria, Serbia and Kosovo. Read it here: Is this Britain’s most influential far-right activist?